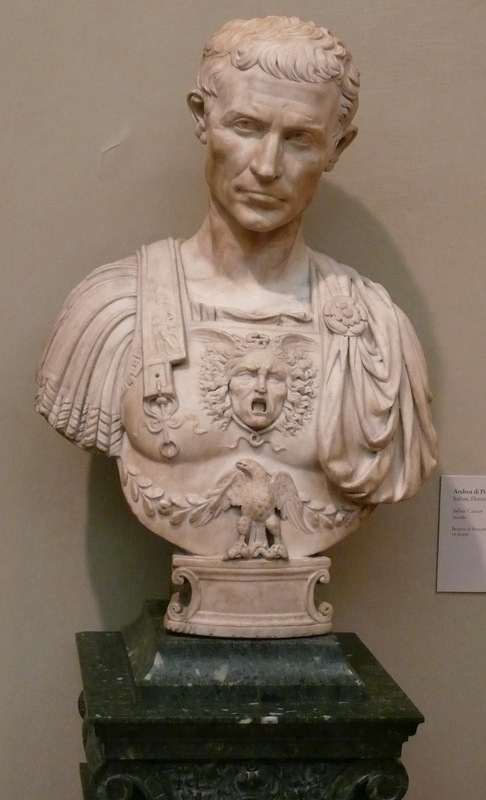 Statesman and soldier Gaius Julius Caesar was murdered on this day in 44 BC in Rome. His death made the Ides of March, the day on the Roman calendar devised by Caesar that corresponds to 15 March, a turning point in Roman history, one of the events that marked the transition from the Roman Republic to the Roman Empire. Caesar had made his mark as a soldier in Asia Minor and Spain and established himself as a politician, making useful allies. But his invasion of Gaul took several years and was the most costly and destructive campaign ever undertaken by a Roman commander. Afterwards, Caesar crossed the Rubicon - a river that formed a northern border of Italy - with a legion of troops, entered Rome illegally, and established himself as a dictator dressed in royal robes. On the Ides of March, Caesar was stabbed to death by a group of rebellious senators led by Marcus Junius Brutus. His adopted heir, Octavian, later known as Augustus, rose to power afterwards and the Roman Empire began. Far from sealing his reputation as a vainglorious tyrant, his assassins, Brutus, Cassius and the others, succeeded only in clinching Caesar’s historical immortality. The conspiracy to murder him was the subject of Shakespeare’s tragedy, Julius Caesar, and he became a role model for Napoleon and Mussolini. His summary of his army’s capture of a city, ‘Veni, vidi, vici’ - ‘I came, I saw, I conquered’ - is a phrase that has gone down in history. Between Cesena and Rimini at Savignano, the road crosses a stretch of water that has since been accepted as the Rubicon, the dividing line between Gaul and what was then considered Italy, which Julius Caesar crossed with his army to take over the Roman state. The modern-day river flows for around 80km (50 miles) from the Apennine Mountains to the Adriatic Sea through the southern part of the Emilia-Romagna region, entering the sea at Cesenatico. The river's name is thought to derive from the Latin word rubeus, meaning "red" - the colour the water frequently assumes due to mud deposits. 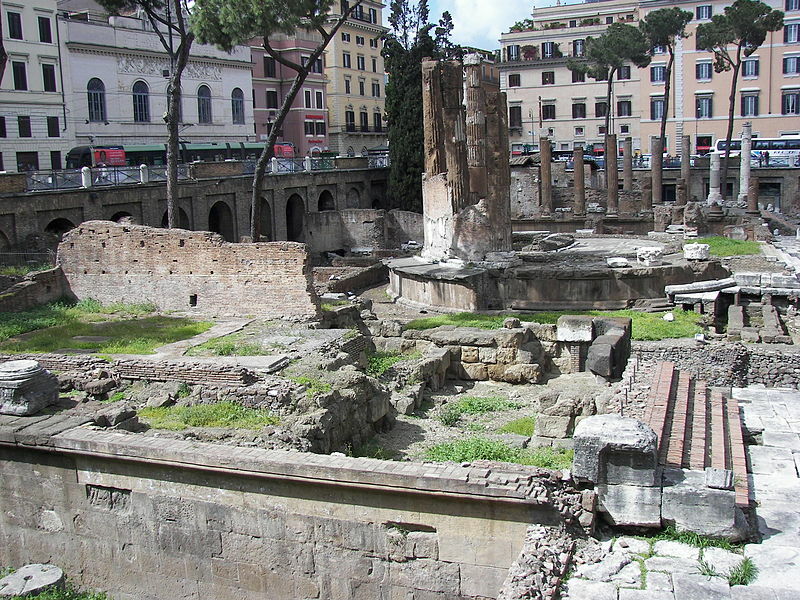 The place where Julius Caesar was killed, where the senate was due to meet, is in a square in Rome called Largo di Torre Argentina in the Campo de’ Fiori area of the city and there are still remains from the period there. 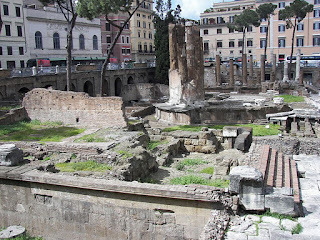 During demolition work in 1927, a marble statue was found and excavations brought to light a holy area with four temples and part of a theatre, next to which was the Curia Pompeia where Caesar was stabbed.